Alumnus, Jian Cao, has experienced career success after receiving his Ph.D. in bioengineering from Penn State in 1997. Despite his work life, he remains focused on the enhancement of graduate research and supports the department through mentoring and volunteerism. Cao, originally from Shanghai, China, received a joint bachelor of science degree in biomedical engineering at Shanghai Medical University and precision instrument engineering at Shanghai Jiao Tong University. When he began pursuing a master’s degree the following year, professors urged him to consider expanding his horizons by studying abroad. Cao heeded the advice and chose to relocate to the United States. He immediately became interested in discovering cutting-edge research opportunities and took interest in the work of Cheng Dong, Distinguished Professor of Biomedical Engineering at Penn State. Cao secured a research assistantship in Dong’s lab and was awarded his Ph.D. from Penn State in 1997. “I was very interested in Dr. Dong’s new and challenging research in the area of cellular biomechanics. Throughout my academic career I have always been grateful to those who believed in me and guided me to pursue this path,” said Cao. After receiving his Ph.D., Cao began work with Angeion, an implantable cardioverter-defibrillator start-up company in St. Paul, Minnesota. In 1999, he took a job as a senior biomedical engineer at Medtronic where he was responsible for developing a cardiac implantable loop recorder. In 2000, he transitioned to the role of senior scientist in the cardiac rhythm management division where he provided unique contributions to various features of implantable cardioverter-defibrillators. 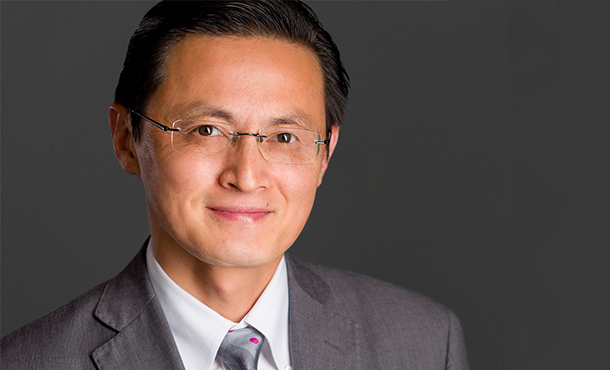 Currently, Cao is a senior principal scientist and technical fellow at Medtronic. In this role he is responsible for various algorithm research and human clinical trials with a global impact. Aside from maintaining his busy career, Cao remains an active supporter of the biomedical engineering program at Penn State and is a champion for the advancement of graduate research. He has participated as a member of the department’s Industrial and Professional Advisory Council for the last three years and has recently agreed to serve as an inaugural member of the Biomedical Engineering Alumni Committee for Outreach and Nurture. Outside of his work with Penn State, Cao remains an advocate for education. He teaches math to a group of Chinese middle-school students in Minneapolis, Minnesota, and volunteers as a photographer for his son’s varsity tennis team at Mounds View High School in Arden Hills, Minnesota.